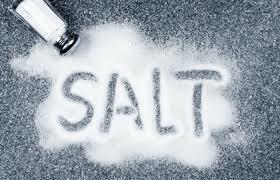 Salt is aninorganicingredient composed mainly of sodium chloride. When salt is in its natural form it is known as rock salt or halite. Salt is used widely around the world in cooking. Refined salt is called as Table saltcomprising of about 97 to 99 percent sodium chloride. Salt is often adulterated with stones that can be traceable with naked eyes.The Food and Drugs Administration also received a complaint from a consumer regarding the adulteration of salt that he had purchased from a local grocery store.